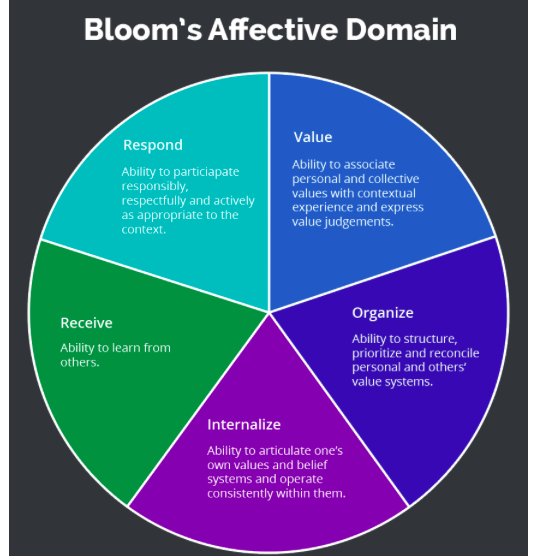 The affective domain is one of the three domains in Bloom’s Taxonomy (the other two being cognitive and psychomotor) which looks at attitudes, motivation, willingness to participate, appreciation, enthusiasms, valuing what is being learned; the emotional or feelings domain. As educators we MUST see it as part of our job to actively build components into the everyday curriculum that promote children’s growth in managing intense feelings and emotions, understanding others’ feelings, becoming self-aware, making personal decisions, and handling stress (Kostelnik, M. J., Soderman, A. K., & Whiren, A. P. (2014). Developmentally appropriate curriculum: Best practices early childhood education.). 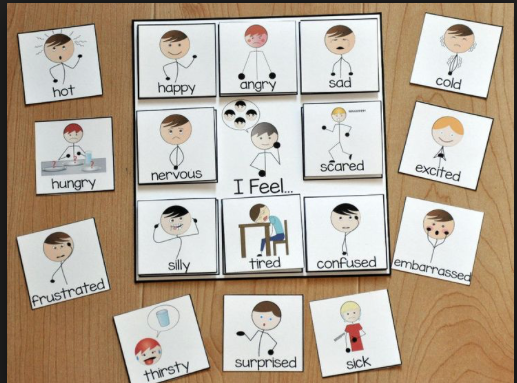 Children’s emotional development is complex and affects whether children learn to communicate with others well, are able to be insightful and assertive, affects their self-acceptance, and supports them in taking personal responsibility (Lantieri, 2008). 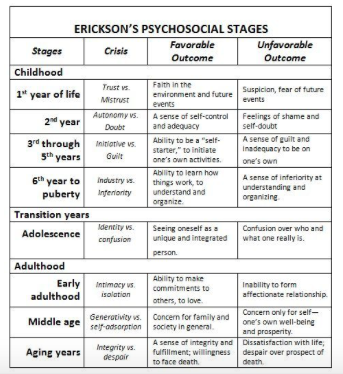 Erik Erikson described the stages that emerge in the early years, from birth to age 12. Seeing human development on a continuum characterised by opposite emotional poles in each of the stages. Children are most successful when their overall affective development falls towards the positive pole. Children younger than 10 years old, therefore, are generally unable to associate the source of their emotions with what happens in their minds. So that they would be unaware of subtle clues from others when their behaviour is inappropriate . 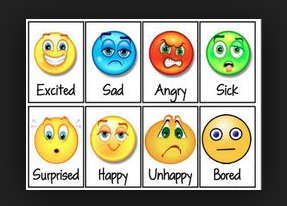 How key adults reposed to their negative emotions is an important response for children and can lead to children doubting themselves and becoming disconnected form their emotions. It is also an important job for teachers to support children in developing their ability to be empathetic of others, which is a critical component of emotional development. From: Kostelnik, M. J., Soderman, A. K., & Whiren, A. P. (2014). Developmentally appropriate curriculum: Best practices early childhood education (5th ed.). Essex: Pearson Education Limited. Research and common sense has found that helping young people develop good social and emotional skills early in life, supports their long-term emotional health and well-being. 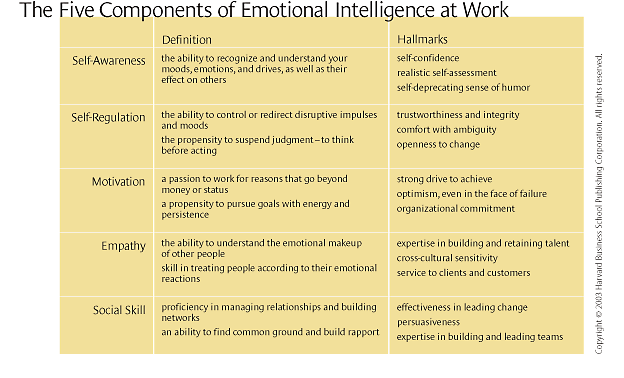 See Daniel Goleman, (1997) Emotional Intelligence, who suggests that children are less equipped to communicate effectively with others if they have not had the opportunities to form concrete skills that identify and manage their emotions. When might might we need to do more? It is then important to evaluate whether the child is emotionally healthy and are they are to function in a healthy manner. 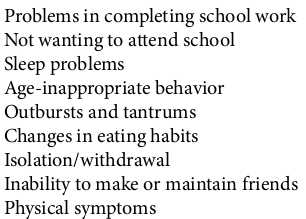 There are lists that are available for this (See: Hendrick and Weissman, 2009), however, comparing the child against the cohort and your experiences of other children at this age, talking to colleagues and even health-care professionals, will help you to evaluate if further intervention is needed. Educators needs to guide their learners towards more fully integrated interpersonal and interperonsal strengths. Make it a focus in your classroom and work with families and the community before and whilst children are part of your school. This entry was posted in How can "mindset" affect our learning?, The "Smart" questions facing education, What should I be teaching? Be on the curriculum? 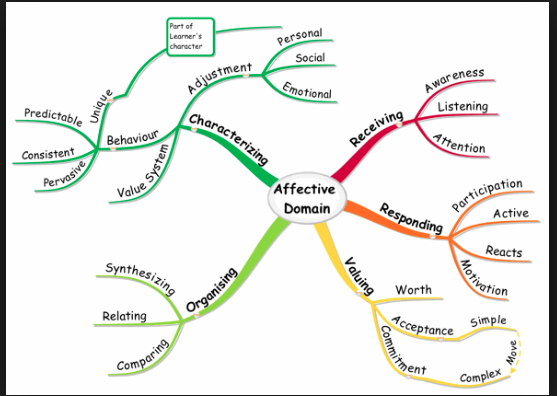 and tagged affective domain, age, behaviour, bloom, children, classroom, community, competence, concerns, coping, develop, developmentally appropriate, developmentally appropriate practice, educators, emotional intelligence, emotional needs, emotions, empathy, family, fears, hattie, healthy, john hattie, learners, self-awareness, self-efficacy, self-esteem, smartprimaryed, stress, support, teachers, understanding. Bookmark the permalink.